To the uninitiated, fried chicken and waffles might sound like an unlikely pairing. After just one bite, though, you'll surely grasp its appeal: a tantalizing balance of soft and crunchy, sweet and spicy. Breakfast meets dinner in this improbable but wholly delicious combo. 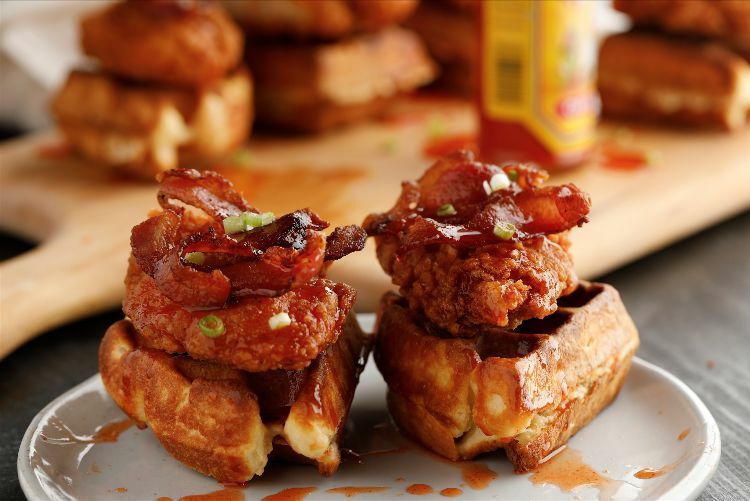 The recipe below combines freshly made waffles with your favorite fried chicken and a spicy maple syrup in a way that is sure to rock your world. You can use just-made fried chicken tenders or even frozen fried or baked tenders. The key is to make sure they are crisp and crunchy on the outside and tender in the middle. A hint of spice in the coating is ideal. In a large mixing bowl, stir together the flour, baking powder and salt. Add the eggs, buttermilk and melted butter, and stir to mix well. 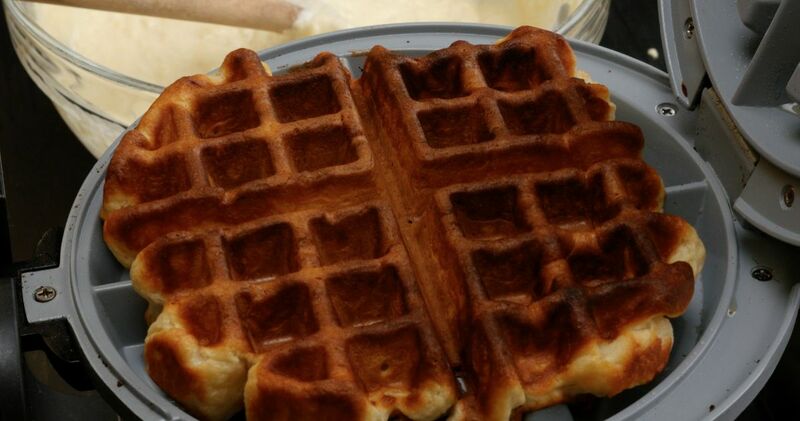 Cook the waffles in the waffle maker according to the manufacturer's instructions. Cut the cooked waffles into quarters. Top each waffle quarter with chicken and broken-up strips of bacon. In a small bowl, stir together the maple syrup and hot sauce. Drizzle the spicy maple syrup over the waffle sliders and serve immediately. Enjoyed this recipe? Please share on Facebook.